Boys and Girls Hip Hop - Ballet Arts Centre of Winchester, Inc.
Ashton "Stackz" Lites' professional dance career sprouted soon after joining "Side Street", a company/crew in which he co-leads now with Russell Ferguson (Season 6 WINNER of So You Think You Can Dance). 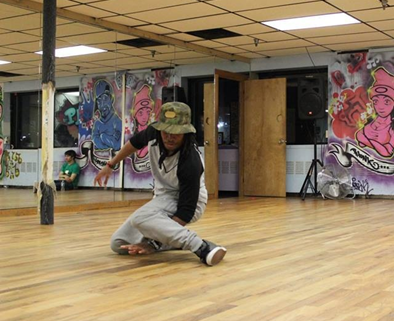 He is a krumper and uses this free, expressive style of dance to mentor to youth in and around Boston. Ashton explored the more classical styles of dance first through the Reach Program at Boston University, then transitioned into Dean College where he studied dance and graduated with his Associates degree in Arts. Ashton currently teaches many classes in and around the Boston area and he is excited to return to BAC to teach this fun boys Hip Hop class! Check back soon for our next session! Call 781-729-8556 for more information.